Event Details: 8:00 until noon. Recycle your electronic waste and plastic bags. 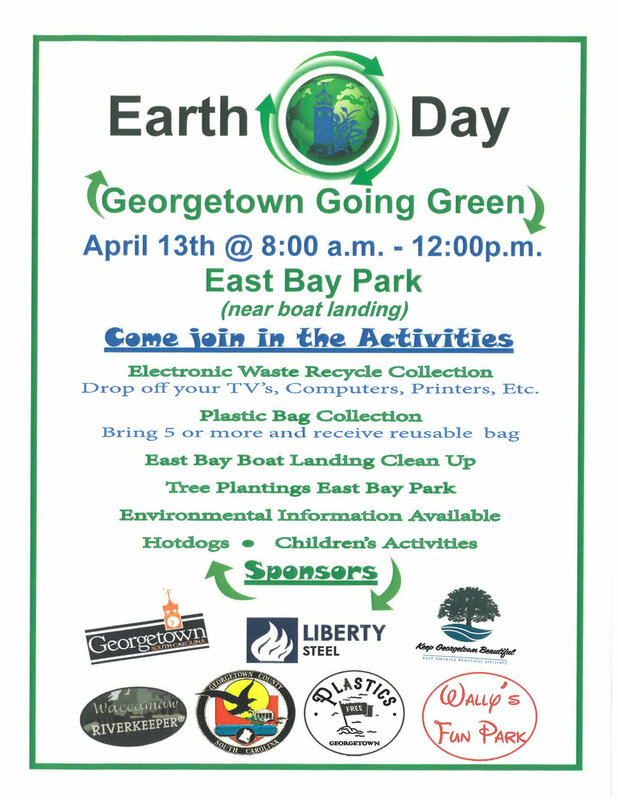 Bring 5 plastic bags and get a re-usable bag. Jump castle for the kids and hot dogs. Tree plantings and park cleanup.